It's the Crocodile Dundee of the fashion world!! 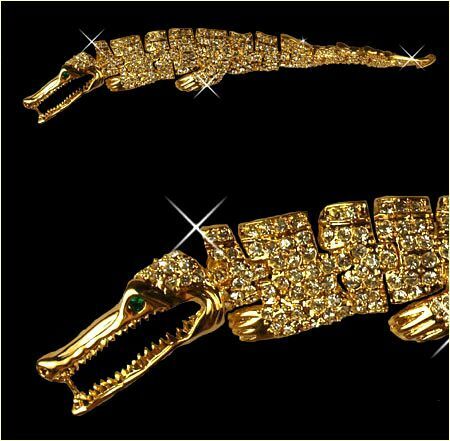 A mean and moody croc with a slinky multi-jointed gold body, covered in dazzling crystal clear rhinestones. A green and envious eye sits above powerful jaws that grip its very own tail, so it can slide seductively around your wrist. Snap it up now! Length 19cm (7½") Max Width 3cm (1¼").